The advantages of early detection in cancer screening cannot be overstated. Mountains of evidence exist showing the importance of intervening quickly not only to halt the spread of disease but also that survival rates improve dramatically for nearly all forms of cancer. Yet, identifying early markers of cancer remains a challenge for scientists. Although now, investigators at Brunel University London and the University of Leeds have just published new evidence that could offer hope for identifying liver cancer in its early stages. Liver cancer is the second leading cause of cancer-related mortality worldwide, claiming 700,000 lives each year. Unfortunately, however, most cases are discovered too late for a cure. The results from this new study show a dramatic increase in the expression of glycolytic enzymes in precancerous cirrhotic livers. This increase is associated with a significantly higher risk of developing hepatocellular carcinoma (HCC)—the main type of liver cancer—and could lead to a biomarker which identifies those at risk of malignancy. In cirrhosis, chronic damage caused by hepatitis viruses B or C, alcohol, or obesity leads to scarring and formation of regenerative nodules in the liver. High cell turnover in these nodules, with an accumulation of genetic damage, can eventually produce cancerous cells. “We set out to find features of cirrhotic cells that might predict cancerous change,” Dr. Papa noted. For nearly a century, scientists have recognized that cancer cells shift the way they generate energy. Normally the body obtains energy from macronutrients—sugars, fats, proteins, and their intermediaries—primarily using oxygen. But our cells can also extract energy from sugars without using oxygen. This anaerobic process, called glycolysis, produces the lactate that “burns” our muscles during intense exercise—and is also used by cancers to fuel their rampant growth. 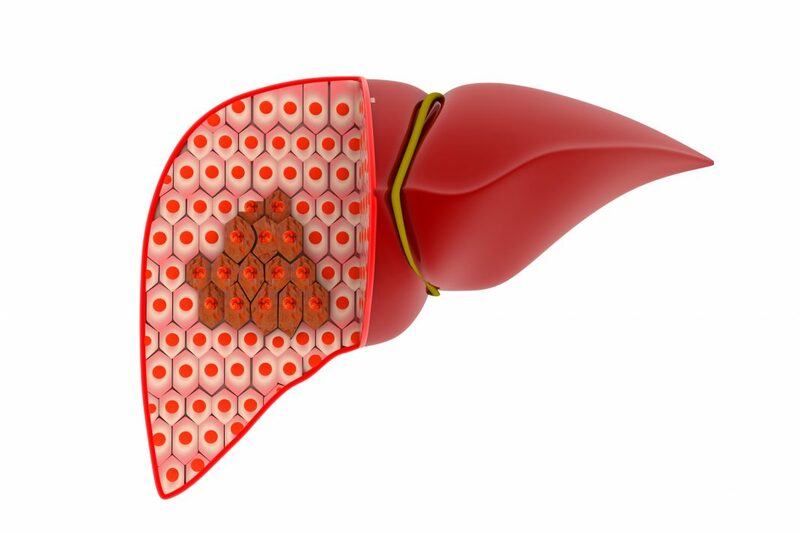 In the current study the researchers analyzed normal, cirrhotic, and cancerous (HCC) liver samples from patients followed up over ten years following a liver biopsy. “To have a complete overview of energy metabolism changes in HCC and premalignant stages of disease, we measured the expression of genes encoding enzymes involved in glycolysis and other metabolic pathways,” Dr. Papa states. The research team found that glycolysis-related genes—including hexokinase 2 (HK2), aldolase A (ALDOA), and pyruvate kinase M2 (PKM2)—are highly expressed not only in HCC but also in cirrhosis as compared to normal liver samples. “In other words: the shift to glycolysis occurs in the precancerous stage,” Dr. Bubici remarked. Interestingly, the level of expression of glycolysis-related genes showed a positive correlation with the progression of cirrhosis to HCC—and with poor outcome in those with HCC already at the time of biopsy. “This suggests expression of glycolytic enzymes could be used as a new biomarker to predict the risk of later development of HCC in patients with cirrhosis,” Dr. Bubici noted. While the investigators were excited by their findings, they did stress that their study was preliminary, and more work needs to be done. Still, the findings reveal a promising means to improve HCC survival through early detection and treatment. According to Dr. Papa, the shift to a glycolytic expression profile in cirrhotic cells could even be a target for new HCC therapies.